*A randomized clinical study of 140 healthy overweight people compared the use of Slimvance in conjunction with an 1800 calorie diet and walking plan to a placebo with the same diet and walking plan. Those on Slimvance lost almost 10 more pounds (-11.81 pounds versus -1.91 pounds), lost over an inch more around the waist (-2.12 inches versus -0.68 inches) and over an inch more around the hips (-1.76 inches vs. -0.48 inches) and lost more percent body fat (-1.05% versus .71%) than the placebo group after 16 weeks. †When used in conjunction with the Slimvance® diet and exercise program. Take 30 minutes before breakfast and dinner. Add one scoop to 6-10 fl. oz of cold water and mix thoroughly or supplement a smoothie with an extra scoop. Use daily for best results. Use in conjunction with the Slimvance diet and exercise program. Significant product settling may occur. Keep out of reach of children. Store in a cool, dry place. This product is amazing. It really does help slim down the waist line when used correctly and with good eating habits. Working out will enhance and speed up the process and slim down your midsection and love handles. I’ve been on this product for four months and went from a 48 to 33 waistline but I work out as well. This is my new vice. makes you feel great through the day. I must say I'm impressed! I've only taken it for a week so far and I lost 5 lbs! ???????????????? Add more water then the suggestion. You get use to it and it kind of grows on you. I feel healthier and less weight on my weight. I've been drinking it for about a month now and I notice the difference in my diet. I've lost about 8 pounds so far. The taste isn't bad at all. I plan to stick with it for awhile. Taste great and I feel it definitely is making a difference in improving my diet. I would recommend this product. I do like this product, it takes a little while to notice the results. If anything it will keep you regular during the holidays and you won't have to feel guilty of skipping the veggies dishes. I know this product is doing good to my body and the added bonus of losing weight off the core is very encouraging. I drink the additive in coffee in the morning. It is very sweet, almost "sacchariney". But it gives a boost and the internal sense of well-being is surprising. Love the blend of fruits and vegetables in this. Caffeine free so I take with GNC LIT in the morning. Helps me start the day off strong with my metabolism rolling. Anyone tried it with success? BEST ANSWER: Yes, it works wonders. I’ve been using this consistently for four months with a 90% very good eating habit very moderate workouts and went from a 48 to 33 waistline. Once I started doing a complete full body, extreme workout you can see the love handles melting away. Let’s just say I no longer have a muffin too with my tight jeans and all of jeans including the ones I couldn’t even close, now have a gap in the waist area. Yes went from 136 to 127. I’ve started noticing the difference after a month of consistent usage and following the directions along with eating fairly healthy. Any way to try before you buy? Sample packs maybe? Certain GNC stores are sampling this out in stores right now, call your local GNC to see if they're participating. Our customers have 30 days to return the product if they do not like the taste or the product itself. BEST ANSWER: it is not a meal replacement. You drink it 30 minutes before breakfast and dinner. It is a diet aid. Add a clean diet and daily exercise. What are the sugar grams? I AM DRINKING THIS CORE SLIMMING GREEN AND SUDDENLY I STOPPED EATING THIS IS NORMAL? I am a diabetic is this safe? BEST ANSWER: We do not test this product in conjunction with any type of medication or medical procedures. We would recommend speaking with your doctor. BEST ANSWER: Depending on your carb count for the day, it could be. It has no fats or protein. Just 6g of net carbs. I would highly recommend the mixed berry! Will this work if you don't go on a diet? BEST ANSWER: Honestly... I don’t know... I have been watching what I eat and try to exercise when I can... I have noticed a difference in my stomach area and legs. The results will be slower. This keeps my digestive tract moving really well and I never feel bloated. I would say yes. I take it regularly, once or twice per day, with my regular meals. No strict diet. BEST ANSWER: Serving size 1 scoop. There are 28 servings per container. Can I mix with gold standard whey protein shake? BEST ANSWER: should be, there isn't any added caffeine, though I believe the moringa flower in it may have a small amount of caffeine. Just wondering why it isn't allowed to be sold in California? there are mushrooms in this that you should ask your doctor before taking so it does not harm your baby. I usually drink coffee first then take core slimming greens is that ok? BEST ANSWER: I don't see any it wouldn't be. 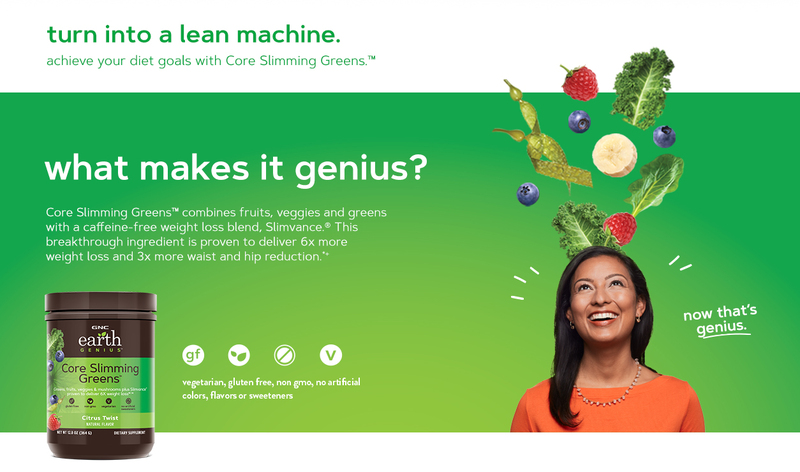 I'd just make sure to drink the core slimming greens before eating. i have no issue doing this. Can you drink this if you have diabetes? BEST ANSWER: I’m an RN and I would say yes. The calories are small and there is not many carbs.. It would probably benifit you!! This product says it's "vegetarian". Is it "VEGAN"? Is the prebiotic or any "othernatural flavors" derived from dairy?